This man might have information about a supermarket fuel theft. Officers investigating the theft of fuel from a Northampton garage think this man may have information which could help them with their inquiry. 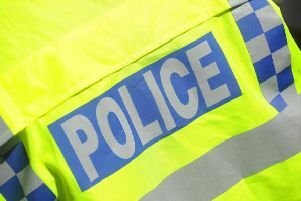 The alleged incident happened at the Sainsbury’s filling station on Gambrel Road near Weedon Road just after 1.20pm on Friday, May 12, a spokeswoman for the force today confirmed. She said: "A man pulled up at pump number 10, filled two or three containers, entered the store, took a call on his mobile phone and then left without paying. "Anybody who thinks they recognise the man pictured is asked to contact police."